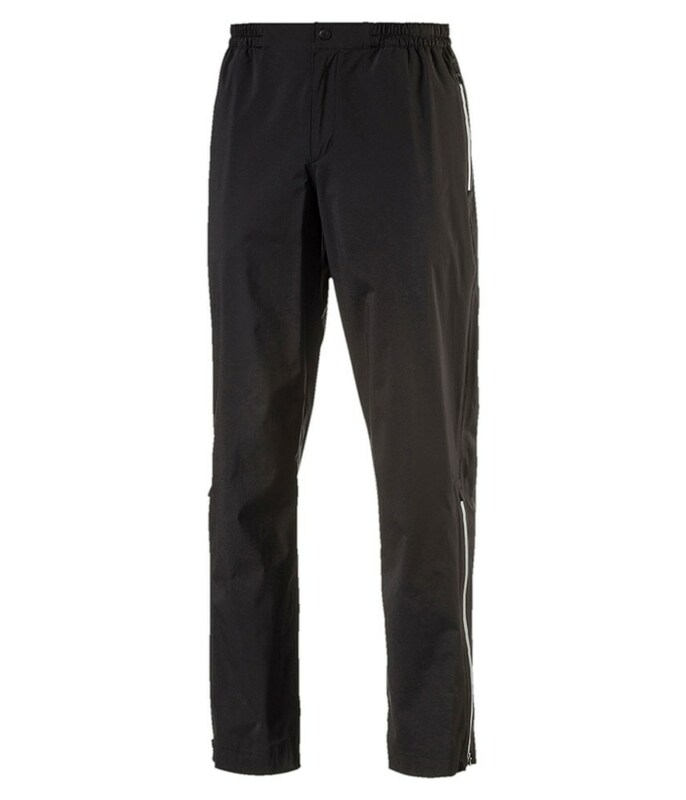 The Puma Golf Storm Trouser will provide exceptional comfort and protection from the elements whatever activity you are doing outside in the rain. 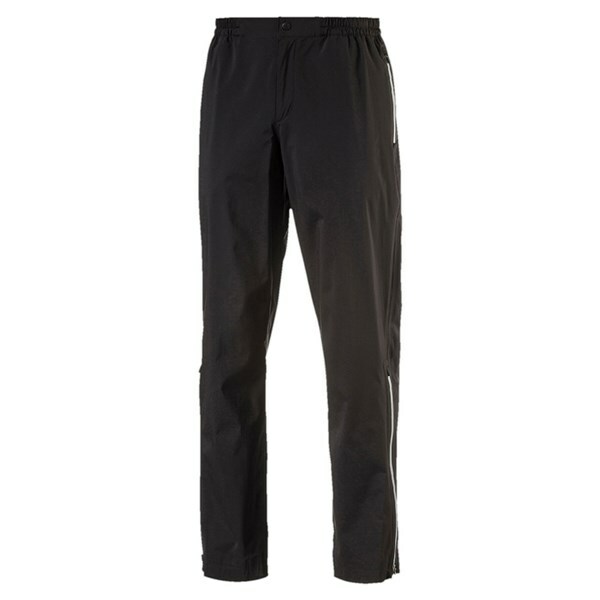 The sporty versatile design of the Puma Golf Storm Trousers makes them ideal for any outdoor activity. Puma Golf have used their excellent stormCELL fabric to ensure total protection from the elements, all of the seams are fully sealed to stop water penetration. The fabric is highly breathable so that any excess sweat is quickly wicked away. A half elasticated waistband has been used for improved comfort and a leg zipper makes the Storm trousers super easy to put on and take off in a hurry when the weather the weather is closing in.